Wonderful little Slavic boy lying on soft beanbag and holding toy piano in hands. Portrait of smiling Caucasian baby with blonde hair. Indoors. Lifestyle. 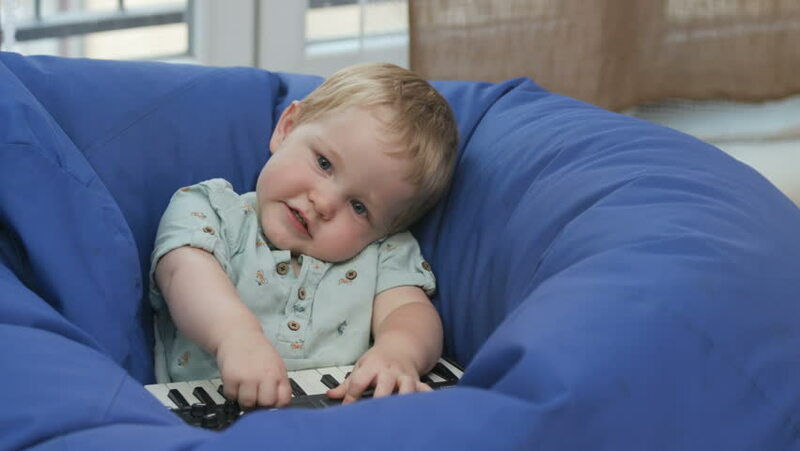 4k00:15Pretty Caucasian baby touching piano keys and looking at camera. Nice little boy starting to laugh. Happy childhood. Home. Indoors. Lifestyle. hd00:14Little baby infants girl lies on a bed and sliders with a pacifier in her mouth. Full-HD, 1080p.